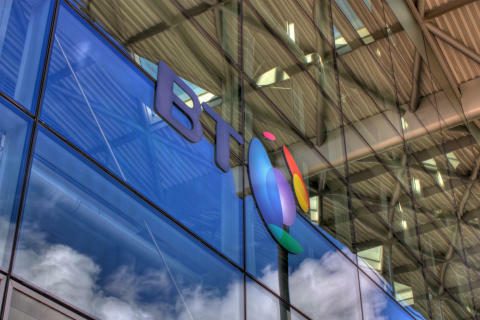 BT has appointed a new senior executive, Paul Murnaghan, to head up its public and private sector business in Northern Ireland and implement a new strategic direction to increase its local presence. Paul, who has worked for BT for over 12 years, has extensive experience working within the public sector, on everything from consultancy to major deals and sales management. Prior to joining BT, Paul spent 13 years working in IT and technology at leading companies including B.I.C. Systems and Parity Solutions (formerly Beecom). He will lead a team of 30 public sector staff, with a strategic focus on building on the 40 year partnership that BT has enjoyed with the public sector in Central Government, the local authorities, the Health Trusts, universities, criminal justice organisations and housing associations. BT has around 60 public sector customers in Northern Ireland and Paul will be focused on increasing market share and further developing BT’s position as a trusted advisor within the local marketplace to deliver IT services. Paul said: “BT technology and expertise can help the public sector reduce costs and drive efficiencies. We want to continue to support them to take more of a digital approach to their customers. “I will lead an integrated organisation serving a full range of solutions from fixed IT and telecommunications through to systems integration and digital transformation. “At the forefront of our approach to strategic partnerships is our team of industry experts who take the time to understand a business’s specific challenges and needs. They help these organisations leverage new and emerging technologies to change the fundamentals of how they work and deliver services to help them achieve their all-important business objectives. “With a public sector that remains under pressure to reduce costs and increase efficiencies to deliver a top class service, we can help these customers to deliver just that. "BT has an unrivalled portfolio of services that take advantage of the availability of higher bandwidth services here in Northern Ireland, for example, BT offers cloud based unified communications services with both of the global market leaders, Cisco and Microsoft, the only company in the UK to do so.We have Wide Area Networks (WAN), telephony, mobile via the recent merger with EE, IT contact centres and more. We are in a unique position to be a strategic partner to the public sector here and to deliver the breadth of services 21st century organisations require."